Tips & Tricks : Kenwith Conifer Nursery, Miniature and Dwarf Conifers, Tree Nursery, Mail Order Plants and Trees. Apart from larix conifers need good drainage. There are more conifer casualties from overwatering and water logging than hot summers. Plants have a habit of being able to close down in hot or dry weather and can come back to life when moisture arrives. In long prolonged spells of dry weather water a little and/or cover with a piece of shade netting. Good drainage is achieved by mixing a few chippings or stones with the existing soil but do not plant in boggy or solid clay situations. You get better yellows if planted in full sun and better blues in partial shade. 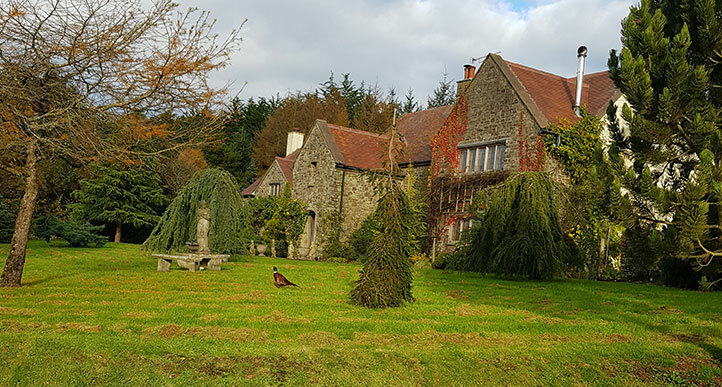 Conifers do not need much fertilizer and a light dressing of fish, blood and bone worked into the soil around the plants will be quite adequate. Pots and troughs should be planted with a mixture of ericaceous compost and soil 50/50 with a little gravel, or drainage sand and of course drainage holes in the base. Top off with stones, gravel, bark as all these items retain the moisture in the pot or trough for the summer months. Lift a stone in your garden and you will find it is always a little damp underneath! To keep miniatures very small try planting them in their arrival pot into your pot or tough and sinking just below ground level to hide the original pot. This restricts the root growth but the plant can still grow out of the drainage holes. In effect you are semi-bonsai-ing the plant. If you eventually want the move the plant it can be transferred to a larger pot or new site with less disturbance of the roots. 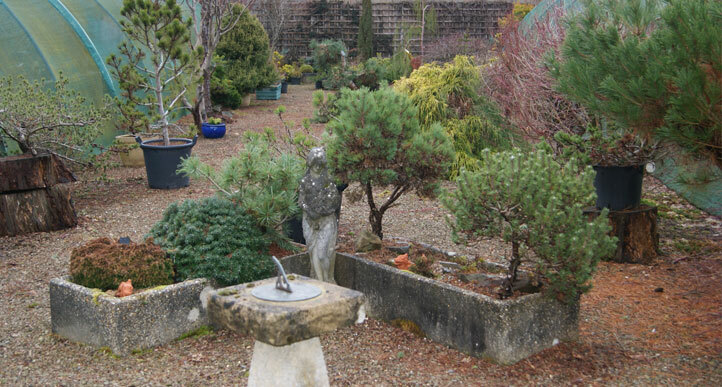 Conifers will grow quite happily in gravel or stoney sites. Abies koreana which are usually grown for their lovely blue cones, will cone much earlier and more profusely if grown in stoney and rough ground than lush fertilized situations. 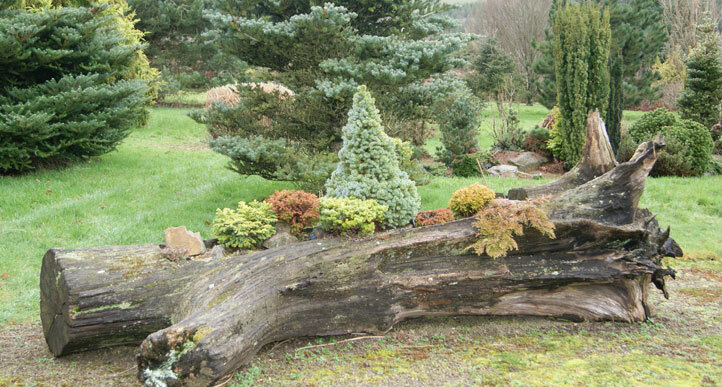 All conifers can be trimmed to suit your needs. Let them establish for a couple of years and trim in autumn or early spring to shapes you prefer. A much more bushy plant can be obtained by cutting out leading shoots and allowing the side shoots to fill the plant in. Pests â€“ Vine Weevil are a naturally occurring pest and in particular like Taxus varieties. The adult weevil eats pieces from the leaves and lays its eggs in the soil around the plant which grow into white larvae which feed on the roots. A chemical if now available from garden centre shops to water on the soil to resolve the problem.